Yes Malaysia Boleh - The Oldest Woman In The World?? Hmmm, 1853 to 2012 = 159 years old this 23rd August! Mmmm...siapa ngantuk salah type agaknya;-). Yup. 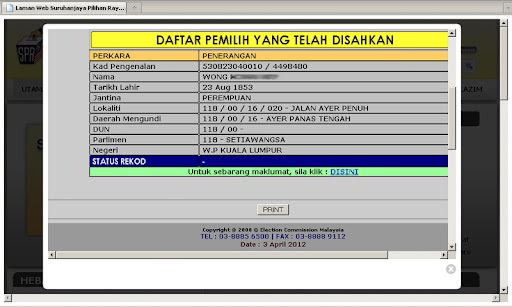 Typo yang kelakar, but serious since it is the electoral roll. Strange that no one double checks the entry.